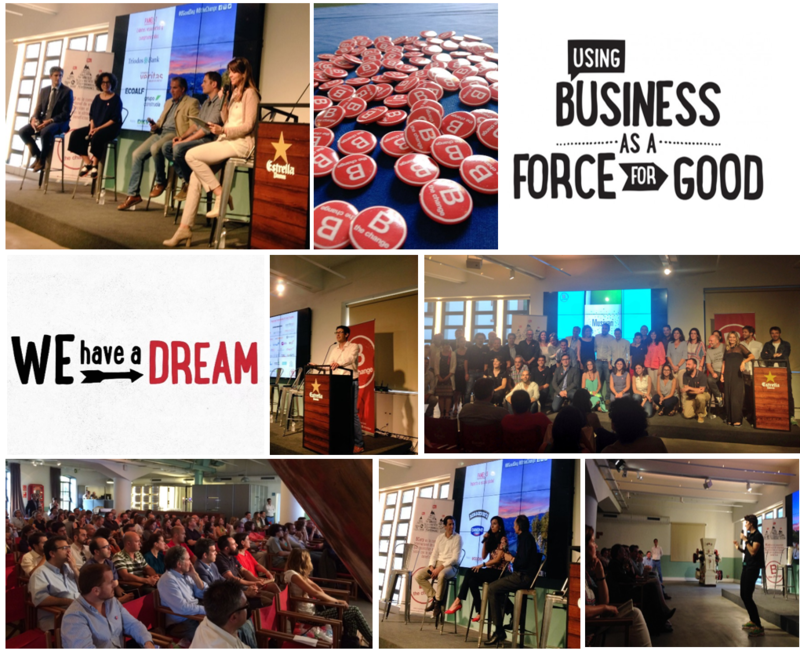 B Corp officially launched in Spain and we didn’t miss it! 200 attendants, 20 companies and thousands of ideas and people with one only proposal: to change the world. 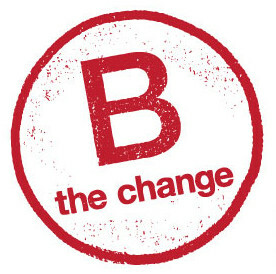 …OK, now tell me, what B Corp means? Benefit Corporations (B Corps) is a global movement that brings together companies that are redefining the sense of success in business. This is, companies that combine economic profits and the creation of social and environmental goods, with a strong transparency and corporate responsibility commitment. In conclusion, better companies FOR the world. We got certification to be part of this “community” of more than 1.700 companies from all over the world just a year ago – you can remember it here-. Yesterday, we had the great honour to be a part of the official B Corp launch in Spain, where we met the founders companies of B Corp – including us! – and the pioneer leaders in supporting this movement. Companies such as Triodos Bank, Danone, DKV or Ben & Jerry’s participated in the event, hosted by Roots for Sustainability, Ecodes and B Lab Europe. All this, in one great location: The old Estrella Damm factory, a beer brand very famous here in Spain. Small companies with great purposes. Finally, the event had a very inspirational and challenging closing thanks to Emma Roca, co-founder of iWopi and B Corp ambassador in Spain. The icing on the cake was that the meeting generated a social impact too because the profits from the event, are going to be donated – by desire of the public and after the funniest voting that we organized- , to the project promoted by EDUCO, in order to provide food to children and their families in social exclusion. One of the main priorities of Worldcoo is to make the e-commerce world and social good work together. For this reason, we’re very happy to announce today that we have signed an alliance with eTail, one of the most important events in the e-commerce world, which takes place this week in London. The goal of this partnership, which is it its inaugural year, is to join forces in order to help e-commerce companies to fund social and cooperative projects through their users. Over the next days, both of us will work together to offer an opportunity for the 1.000 visitors, from all over the world, to take one more step for the retail sector to engage in a social responsibility commitment. Moreover, the over 500 companies that will attend to the event, will have the opportunity to join 80 sessions, workshops and exciting social gatherings.